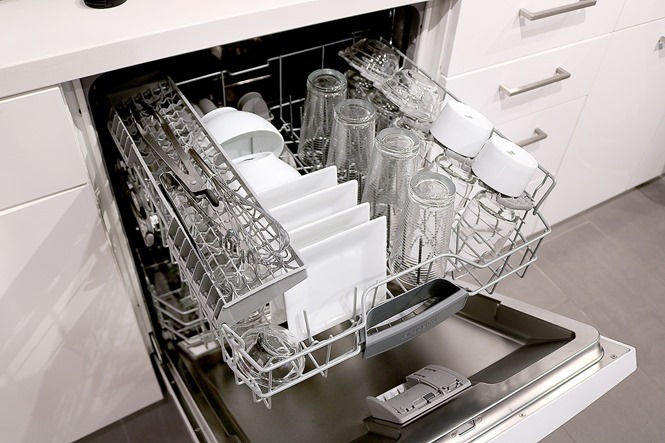 This post featuring the BOSCH 100 series dishwashers is sponsored by Best Buy. Any opinions are 100% my own. I’m a busy mom juggling family life and work. Sometimes I just don’t have the time for doing chores like the dishes. On those days, I just load the dishes into the dishwasher and call it a day. My dishwasher is kind of old though. It’s the same dishwasher that we found in the house when we bought it. the other day, I found a pool of water in front of the dishwasher. I’m guessing it’s time for a new one. One that has really caught my eye is the new BOSCH 100 Series Dishwasher I’ve seen at Best Buy. Some have said it’s the world’s #1 Dishwasher Brand. The Bosch 100 is Quiet. In fact, Bosch dishwashers are the quietest dishwasher brand in the USA. You have to look at the InfoLight® to know if your Bosch dishwasher is running because the 18 sound-reducing technologies are so good at their job. According to a leading consumer publication, Bosch is the most reliable dishwasher brand with the lowest repair rate. One thing that makes Bosch stand apart from the rest is its condensation drying feature. Bosch has 5 of the top 10 drying scores out of 160 dishwashers tested by a leading consumer publication. 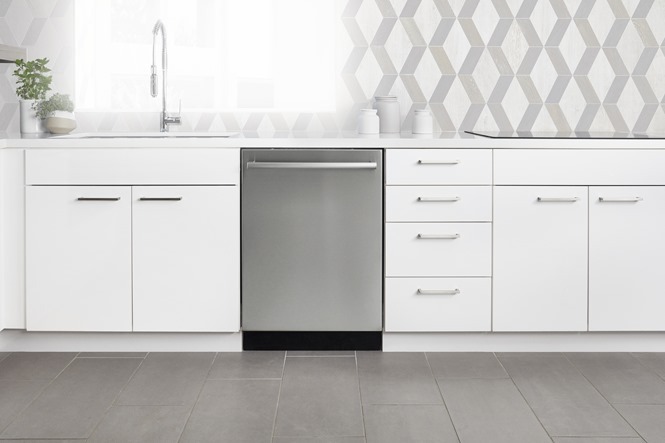 A Bosch 100 Series Dishwasher allows you to save time and water because you can skip the pre-rinse Step. Bosch dishwashers have a feature called PrecisionWash™ which is an intelligent wash system with sensors which target each dish leaving them sparkling clean always. First off, the Bosh line has a range of designs and door handles that are available to fit any kitchen. 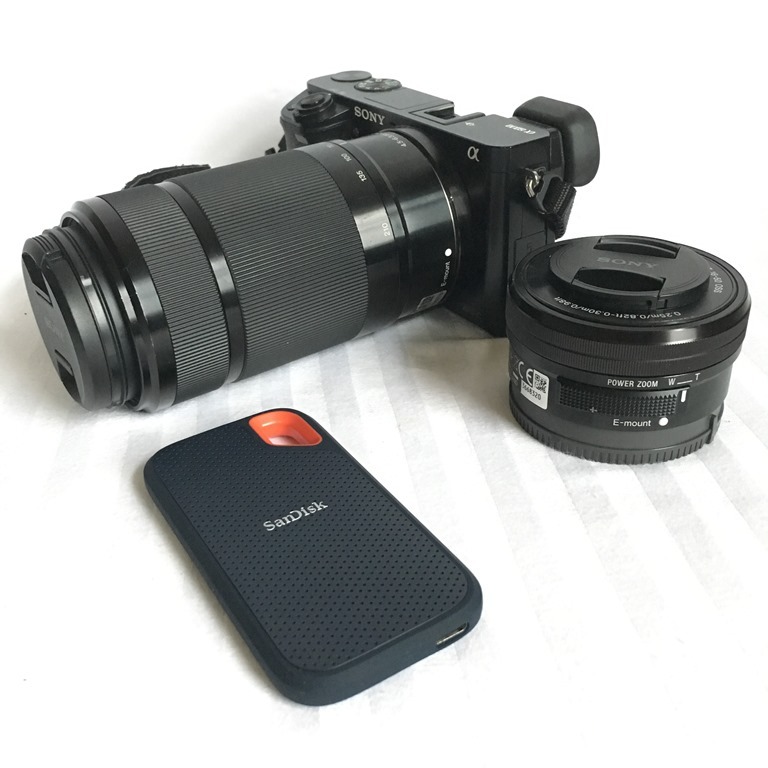 The Fingerprint resistant stainless steel helps protect against smudges and fingerprints and is easy to clean. 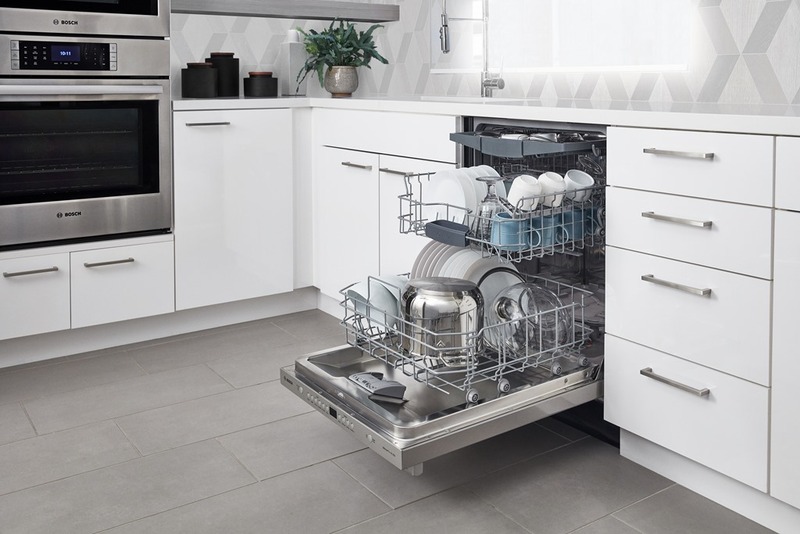 In addition, you can configure your dishwasher according to your needs with their Adjustable Rackmatic™ rack which offers nine adjustable positions providing maximum loading flexibility. It also has a third rack that offers 30% more loading area. The Utility rack is the best place for hard items like odd-shaped dishes. It also opens up space on the upper rack for your other dishes. Bosch provides the best dishwashers loaded with features at an affordable price point. In order to ensure that your dishwasher is a quality product, they do performance checks at the factory to ensure lasting performance at your home. If you’re in the market for a new dishwasher, make sure you check out the Bosch 100 Series Dishwasher. To learn more, check out the Bosch dishwashers on display at Best Buy stores.